Abraham BEASLEY "Sr" [Parents] was born in 1744 in Beasley Island, Craven, North Carolina. He died in 1803 in , New Hanover, North Carolina. Abraham married Mary HEATH about 1769 in Core Creek, New Hanover, North Carolina. Mary HEATH was born in 1746. She died after 1803. Mary married Abraham BEASLEY "Sr" about 1769 in Core Creek, New Hanover, North Carolina. M i Abraham BEASLEY "Jr" was born about 1770. He died in 1820. M ii Solomon H. BEASLEY was born on 10 Jun 1772. He died in 1850/1860. John H. BEASLEY was born about 1775. He died about 1825. M iv James H. BEASLEY was born about 1777. He died about 1847. Rachel H. BEASLEY was born about 1780. She died about 1850. Elizabeth Heath BEASLEY was born about 1782. She died about 1832. Solomon H. BEASLEY [Parents] was born on 10 Jun 1772 in Core Creek, Craven, North Carolina. He died in 1850/1860 in , Covington, Alabama. He was buried in Farimont Cemetery Red Level, , Alabama. Solomon married Cassandra ECKLIN about 1790 in , Dublin, North Carolina. Cassandra ECKLIN was born on 28 May 1782 in , Craven, North Carolina. She died in 1840. She was buried in Beasley Church Cemetery, , Tennessee. Cassandra married Solomon H. BEASLEY about 1790 in , Dublin, North Carolina. M i Elijah H. BEASLEY was born on 12 Apr 1791. He died on 21 May 1881. M ii Nathaniel Bonham BEASLEY was born on 17 Jan 1796. He died about 1850. Rachel BEASLEY was born in 1800. She died in 1877. F iv Lavisa BEASLEY was born on 24 Oct 1801. She died in 1866. M v Durant E. BEASLEY was born on 13 May 1803. He died in Nov 1874. M vi Christopher BEASLEY "Sr" was born in 1804. He died in 1879. M vii Needham BEASLEY was born in 1804. He died on 20 Oct 1865. F viii Dorcas BEASLEY was born on 2 Mar 1805. She died in 1874. M ix Austin "Orston" BEASLEY "Sr" was born on 1 Aug 1806. He died on 1 Feb 1852. Fred BEASLEY was born on 20 Jan 1808. He died on 3 Mar 1927 in Conecuh, Alabama. M xi Samuel Lemuel BEASLEY "Sr" was born in 1809. He died before 1860. F xii Louisa BEASLEY was born in 1812. She died in 1869. M xiii Enoch BEASLEY was born on 18 Feb 1813. He died on 25 Dec 1870. 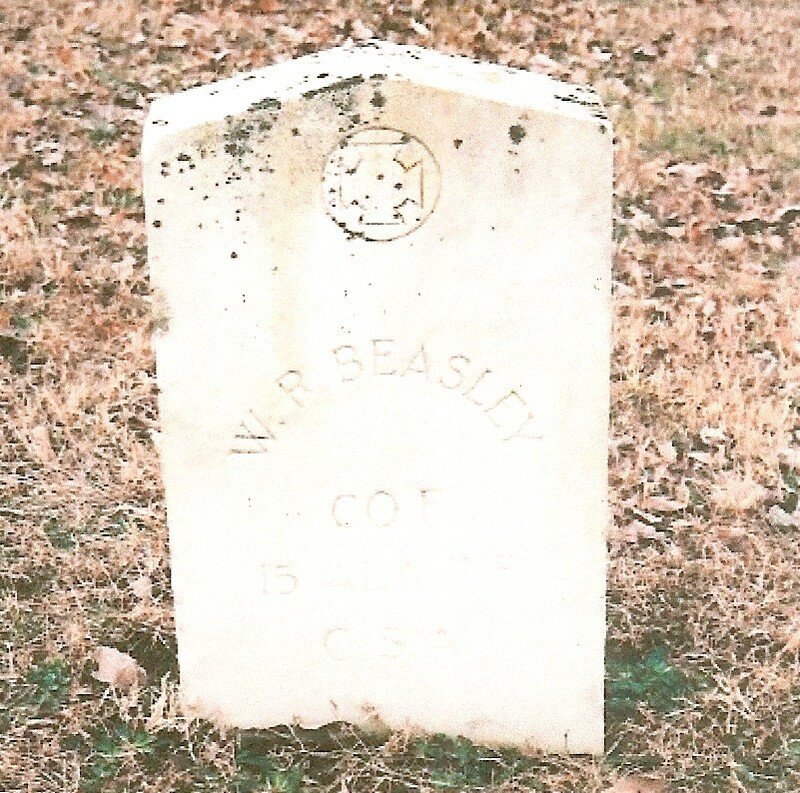 M xiv Abraham BEASLEY was born on 25 Nov 1814. He died on 25 Nov 1875. F xv Elizabeth BEASLEY was born on 16 Oct 1815. She died about 1885. Delana BEASLEY was born on 18 Mar 1817 in Red Level, Covington, Alabama. She died in , Covington, Alabama. Violia BEASLEY was born on 2 Aug 1818 in , , North Carolian. She died in , Covington, Alabama. John BEASLEY [Parents] was born in 1685 in Beasley Island, Craven, North Carolina. He died in 1755 in Beasley Island, Craven, North Carolina. He was buried in , Warren, North Carolina. John married Sarah Joann CAGWELL in 1705 in , , North Carolina. Sarah Joann CAGWELL was born about 1687 in , , North Carolina. She died in 1755 in Beasley Island, Craven, North Carolina. Sarah married John BEASLEY in 1705 in , , North Carolina. M i Senator Solomon BEASLEY was born on 23 Feb 1707. He died on 13 Nov 1789. M ii Oxford BEASLEY was born in 1710. He died in 1757/1762. William J. BEASLEY was born in 1712 in , Craven, North Carolina. He died in , Craven, North Carolina. M iv Simon BEASLEY was born in 1715. He died in 1759. F v Mary BEASLEY was born about 1718. F vi Winifred BEASLEY was born in 1718. She died in 1798. F vii Vienna BEASLEY was born in 1721. She died in 1801. Elisha BEASLEY was born in 1723 in , , North Carolina. She died in 1803/1809 in Probably, Craven, North Carolina. M ix Charles BEASLEY "I" was born in 1738. He died in 1803. William Reed BEASLEY [Parents] was born in 1838 in , Dale, Alabama. He died on 12 May 1864 in Spottsylvania, Virginia from Civil War Casualty. He was buried in Spottsylvania Confederate Cemetery, Viginia. William married Sarah. Sarah. Sarah married William Reed BEASLEY. Martha A. BEASLEY was born on 24 Dec 1861. She died in Feb 220/402. William S. BEASLEY was born in Sep 1862. William BEASLEY "II" [Parents] was born in 1658 in Accomack, , Virginia or England. He died on 21 Jan 1718 in , Essex, Virginia. He was buried on 21 Jan 1719 in , Essex, Virginia. William married Mary RIPLEY in 1677 in , Essex, Virginia. Mary RIPLEY [Parents] was born in 1660 in St. Anns, Essex, Virginia. She died in Nov 1719 in , Essex, Virginia. Mary married William BEASLEY "II" in 1677 in , Essex, Virginia. M i Charles BEASLEY "Sr" was born in 1678. He died in 1763. M ii William BEASLEY "III" was born in 1680/1681. He died on 8 Dec 1744. Benjamin BEASLEY was born in 1682 in , Essex, Virginia. He died in 1758 in , Essex, Virginia. Henry BEASLEY was born about 1684 in , Essex, Virginia. He died after 1740. M v John BEASLEY was born in 1685. He died in 1755. William REED was born in 1768. William married Bathsheba Humpry or UMPHRIES about 1796. Bathsheba Humpry or UMPHRIES was born about 1770. Bathsheba married William REED about 1796. F i Martha REED was born in 1796. She died in 1847. Micajah Emanual "Kade" BRILEY [Parents] was born in 1836 in , , North Carolina. He died on 10 Mar 1862 in Stanardsville, Virginia from Disease - 15th Alabama Infantry Company E. Micajah married Mary Elizabeth PHILLIPS on 6 Apr 1854 in , , Georgia. Mary Elizabeth PHILLIPS [Parents] was born in Oct 1838 in , , Georgia. She died on 24 Jun 1917 in Ariton, Dale, Alabama. She was buried in Evergreen Free Will Baptist Church Cemetery, Ariton, Dale, Alabama. Mary married Micajah Emanual "Kade" BRILEY on 6 Apr 1854 in , , Georgia. M i Parren William BRILEY was born on 27 Sep 1856. He died on 21 Oct 1918 from Heart Attack . Emanuel BRILEY was born in 1857 in , , Georgia. M iii Ceder M. "Cage" BRILEY was born on 28 Jan 1858. Gordon A. BRILEY was born in 1859 in , , Georgia. F v Sarah Virginia "Jenny" BRILEY was born on 30 Oct 1861. She died on 13 Nov 1952 from Stroke . PHILLIPS was born in , , North Carolina. PHILLIPS married Polly Ann REVELL. Polly Ann REVELL was born in 1818 in , , North Carolina. Polly married PHILLIPS. F i Mary Elizabeth PHILLIPS was born in Oct 1838. She died on 24 Jun 1917. Thomas Able BRILEY [Parents] was born on 24 Mar 1806 in , Pittsburg, Pennsylvania. He died on 11 May 1881 in , Dale, Alabama. He was buried on 14 May 1881 in Post Oak Methodist Cemetery, Dale, Alabama. Thomas married Mary Angeline "Polly" REVELL in 1823/1824 in , , North Carolina. Mary Angeline "Polly" REVELL was born on 23 Sep 1803 in , , North Carolina. She died on 27 Mar 1885 in , Dale, Alabama. She was buried in Post Oak Methodist Cemetery, Dale, Alabama. Mary married Thomas Able BRILEY in 1823/1824 in , , North Carolina. M i Micajah Emanual "Kade" BRILEY was born in 1836. 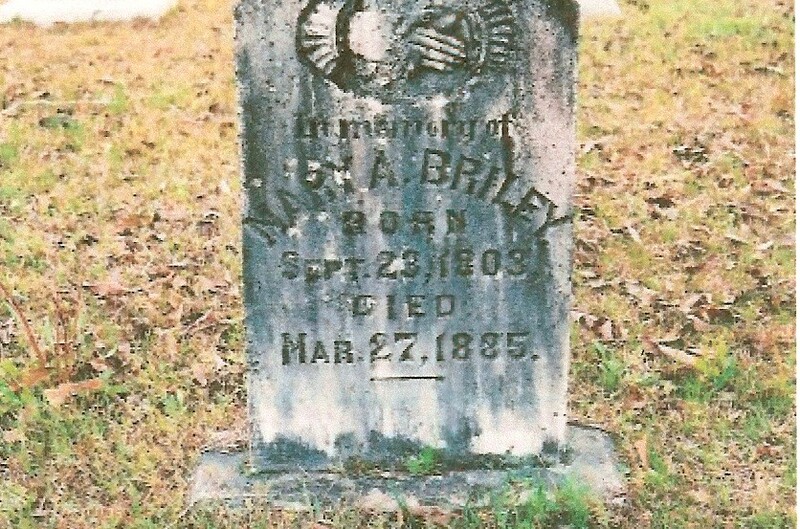 He died on 10 Mar 1862 from Disease - 15th Alabama Infantry Company E.
BRILEY was born in 1784. Mary "Polly" Angeline BRILEY was born on 23 Sep 1803. She died on 27 Mar 1885. She was buried in Post Oak Methodist Cemetery, Dale, Alabama. 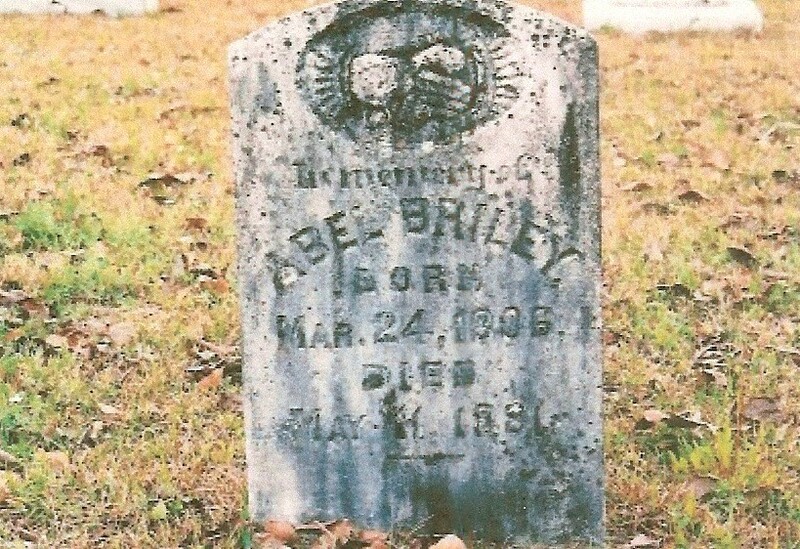 M ii Thomas Able BRILEY was born on 24 Mar 1806. He died on 11 May 1881. Peter BRILEY was born in 1814.